Most houses, especially those built on rocky terrain here in Bessemer, are almost never built on even, level ground. When building a home and putting in its foundation, it is mandatory that the ground is excavated to allow for the proper pouring of the cement foundation. With that said, excavators on the new site must either remove abundant amounts of dirt or even add large quantities of dirt in order to accommodate and make room for a house’s foundation. 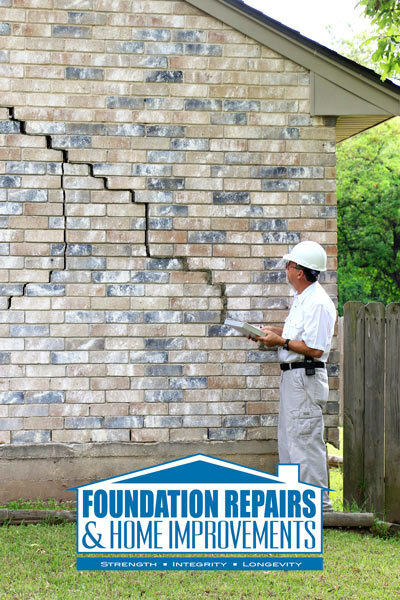 The team here at Foundation Repairs & Home Improvements not only provide superior foundation services, but are also highly trained and experienced in handling foundation cracks of all sizes. How Is Your Cement Foundation Built? When building a foundation the first step is that the footing and cement are poured into a wooden frame or form. The cement is then leveled off and allowed to dry. The cement typically dries in just a few hours time and the wooden forms are removed. The foundation now built and quite secure has the primary task of supporting the weight of the home built upon it as the construction moves forward. As a matter of information, the average home measuring approximately 1600 square feet, weighs in at about 345,000 pounds or well over 172 tons. That is indeed quite a heavy weight for a single foundation to have to carry. Because of the excessive weight of your home, often times the foundation suffers over time. What do we mean by suffering? Simply put, the foundation eventually presents with cracks. When the weight of your house begins to settle in the earth below, the foundation will ultimately move and weak points are sure to develop within. These weak points are usually formed around basement windows and in those spots where the foundation wall drops below the lower level of the home. 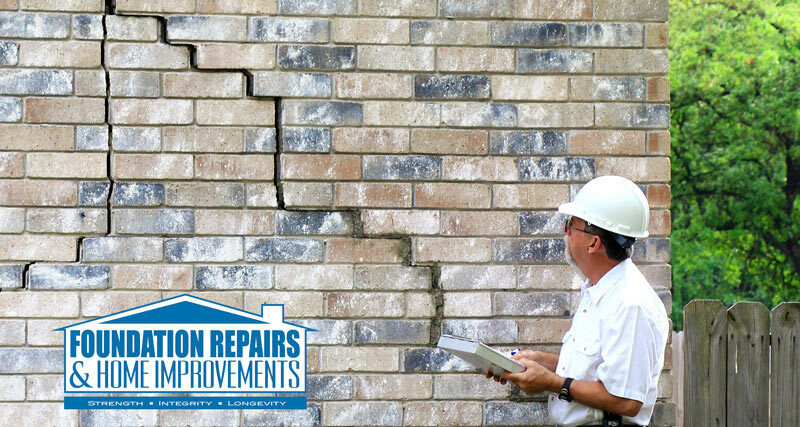 The foundation cracks that are created are referred to as settlement cracks and are quite a common occurrence. 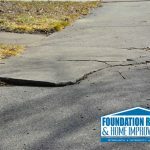 So, if you have noticed cracks in your home’s foundation, no need to panic or fret nor to be alarmed because not only are they common, but surely they can be readily repaired. Most people are unaware of the fact that concrete actually expands and contracts with the various changes in climate and temperatures. 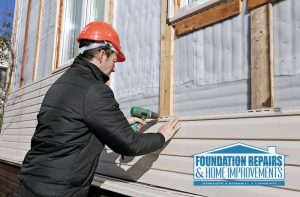 For this reason, it is typically not practical for the average homeowner to attempt to repair the cracks on their own or even put their trust in the family handyman. Rather, it is important to reach out to the professionals here at Foundation Repairs & Home Improvements when the need arises. 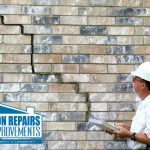 Our highly skilled and trained technicians when called upon to repair foundation cracks will first inspect the property to determine the extent of the damage and the repairs needed. 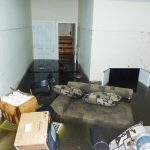 Often we find that homeowners or the family handyman has poured layers and layers of hydraulic cement over the existing cracks in their efforts to stop the damaging foundation leaks. However, hydraulic cement does not expand nor contract so that when your concrete foundation does expand and contract the hydraulic cement used does not contract or expand with it. This ultimately causes yet another problem – another leak in the foundation and in your basement over time. If your home is suffering from unsightly and damaging foundation cracks, then surely you have come to the right place. We here at Foundation Repairs & Home Improvements are the ideal team for you and can handle all your foundation repair needs. Give a call out to our experts and schedule your free foundation/basement inspection. We will provide you with a free estimate and are committed to working within the timelines that are accommodating to your individual needs. Don’t let those annoying foundation cracks take away from the look and feel of your home. Give a shout out to our team today. We look forward to serving you and to providing you with the best all found foundation repair services this side of Alabama! !